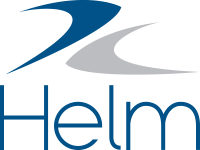 If you have a list of findings from an external audit, you can record those findings in Helm CONNECT and use the system to plan and manage the resulting corrective actions. NoteBefore you can record the findings from a completed an audit, you must first schedule it. From the menu, under Compliance, select Audits. Select an audit from the list. For each finding you want to add, click Add Finding then enter the details about the finding, including any notes or attachments. To complete the audit, click Complete Audit then click Complete Audit again in the confirmation message. The audit will move to the Plan Corrective Actions stage. To stop working on the audit and return to it later, click Finish Later. Your work will be saved. To discard the audit, click Discard. The audit will be discarded and removed from the list of audits.